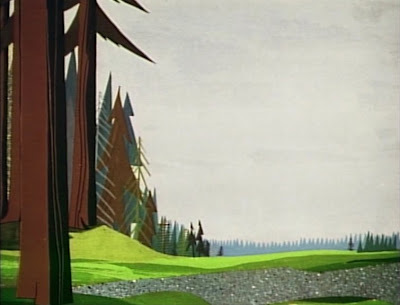 It's time for another look at Disney's classic featurette PAUL BUNYAN. 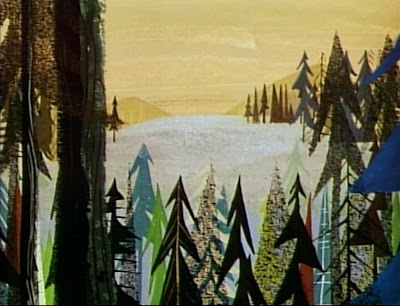 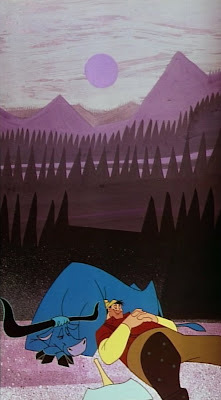 The color stylist was Eyvind Earle, whose work on "Sleeping Beauty" created a whole new look for Disney. 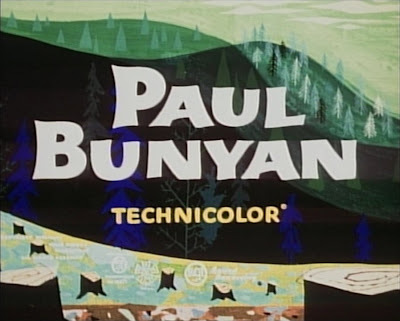 PAUL BUNYAN continues the stylized, modern approach, and takes it even further. 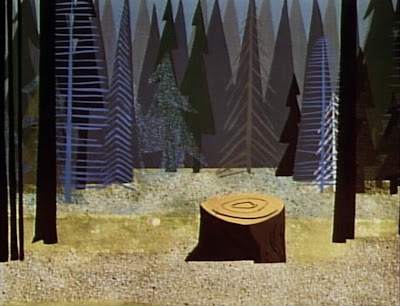 The forest motifs are beautifully rendered, as you can readily see. 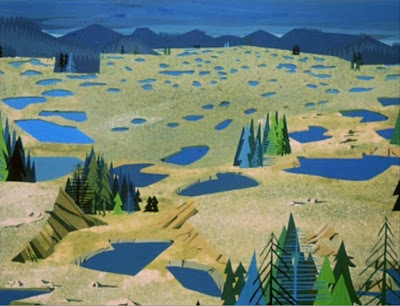 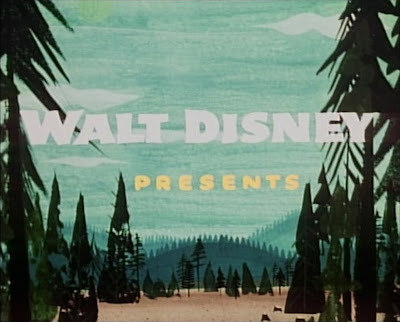 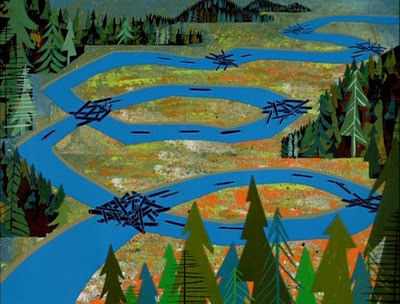 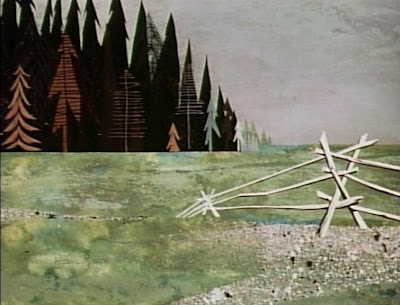 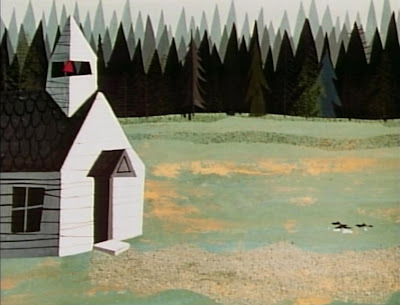 The background credits for PAUL BUNYAN belong to artist Walt Peregoy.